If you are visiting the state of South Australia, be sure to see its capital, Adelaide. Situated 13 kilometres northwest of the city centre, you can find the popular neighbourhood of Semaphore Park. If you are heading to Adelaide, you might like to see the Victoria Square, Government House and Rundle Mall. Get out and get active with an afternoon of heart-pumping water-based pursuits at Port Princess Dolphin Cruises. Want to kick your heels up near this place? Check out the rates at The Lakes Resort Hotel and Port Adelaide Backpackers. Ride full steam ahead to National Railway Museum. Here, everyone will be engaged by the railway relics exhibited. 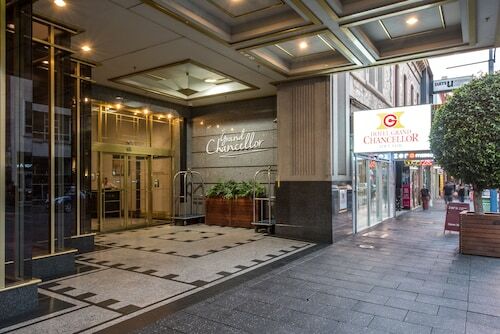 Try the Ethelton Serviced Apartments and Largs Pier Hotel Motel to be within easy reach of this spot. Calling in to Swedish Tarts Patisserie is a great way to kick off your day in Semaphore Park. Just follow the aroma of freshly roasted coffee beans! Once the caffeine kick fades and your stomach starts craving something more substantial, take a look at the menu at Carlisle Tavern. This popular establishment plates up some seriously tasty food. Your evening might be ending or just getting warmed up. Either way, a few drinks at British Hotel couldn't hurt. 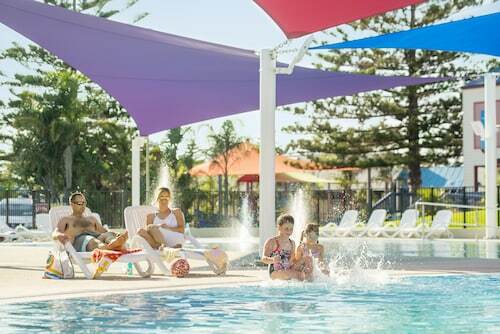 Staying in central Semaphore Park could be difficult if there are not many options available, but you'll surely rest easy with alternatives available in the West Beach hotels guide and in the Wotif Enfield hotels guide. West Beach is located 10 kilometres to the south of Semaphore Park, and is home to recommended accommodations, such as the Acushla Accommodation and Arabella On West Apartments. Alternatively, you might like to book in Enfield, where you'll find the Comfort Inn Manhattan and Enfield Motor Inn. Enfield is 11 kilometres east of Semaphore Park. From flights to accommodation, car hire to activities, Wotif is ready and waiting to help make your Semaphore Park daydreams happen! How Much is a Hotel Room in Semaphore Park? Hotels in Semaphore Park start at AU$66 per night. Prices and availability subject to change. Additional terms may apply.